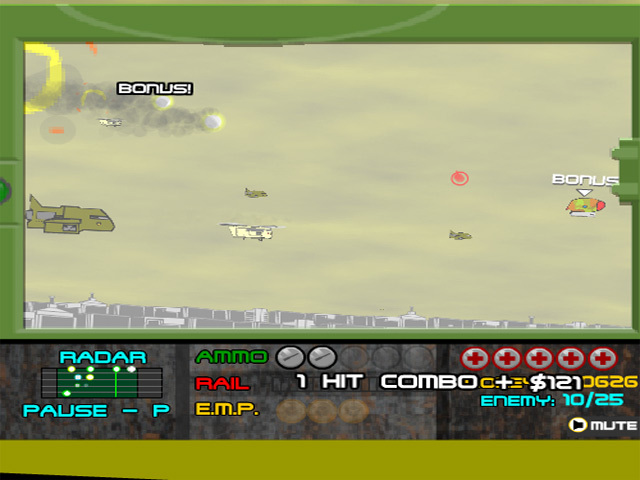 Rain destruction from above in this airborne episode of the explosive Indestructo Tank campaign!Team Indestructo takes to the air!Rain destruction from above in this airborne episode of the explosive Indestructo Tank campaign! 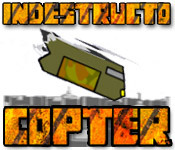 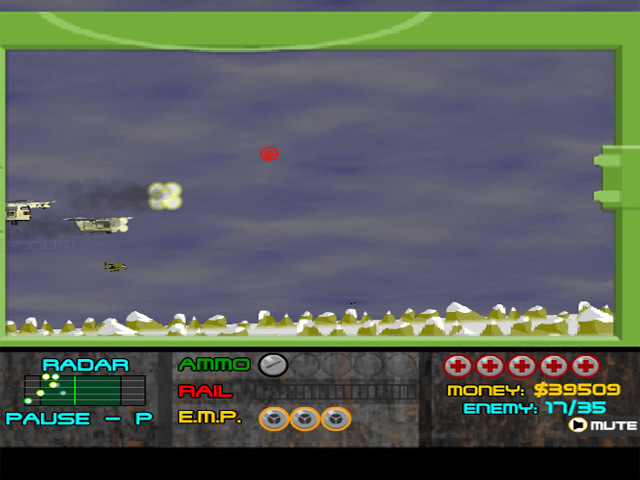 Earn money grounding enemy aircraft with the IndestructoCopter, and invest it in powerful upgrades! 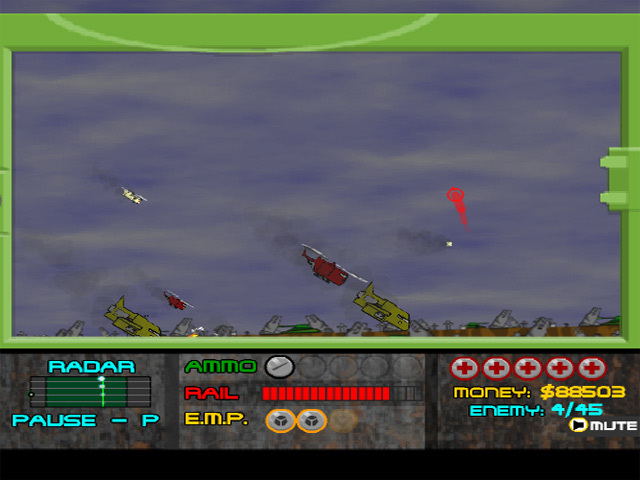 But take careful aim; despite the name of your vehicle, enemies that escape your missles will do everything in their power to knock you out of the sky.